Looking for a gift for your favorite rock climber? That’s great, every rock climber I know wants gifts! Unfortunately our sport is a complicated one and we can be a little picky about the gear we use. The guide below will explain what to buy (and what not to buy) so that you can find the perfect rock climbing gifts without a lot of trouble. It’s tough to come up with cool gift ideas for climbers without knowing at least something about the type of climbing they do. Are you buying for a sport climber, a trad climber, an ice climber or a boulderer? Or someone who only climbs in the gym (but who still might be a sport climber or boulderer, since you can do those in the gym)? We’re going to avoid these question by focusing on simple gifts that every climber will appreciate, starting with basics that will get used every day going to bigger, more impressive gifts. Chalk as a Gift? Really? 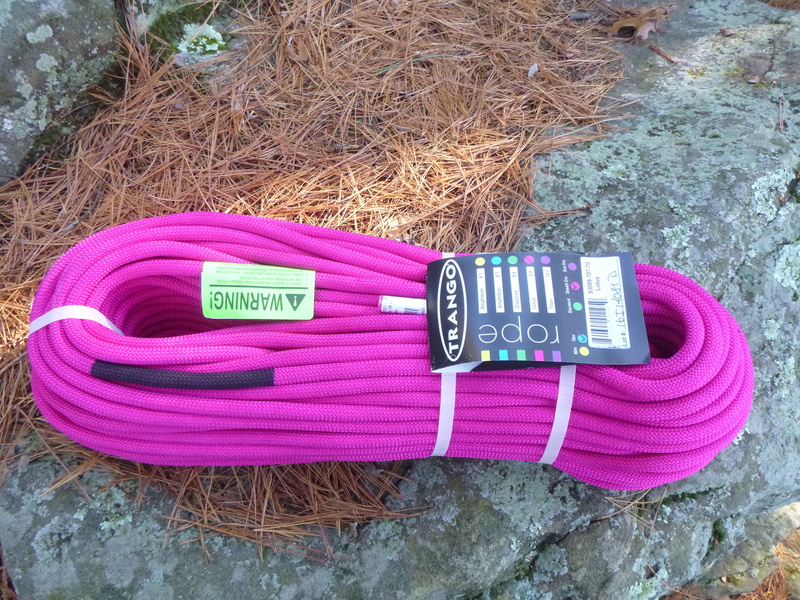 The best gifts for climbers often seem a little simple. The safest gifts for climbers are items that (almost) every climber uses and are consumable so they need to be replaced fairly often. This brings me to our first gift idea: chalk. I know what you are thinking – chalk? Really? That is the most boring gift I’ve ever heard of. But climbers go through chalk like Starbucks goes through coffee beans. 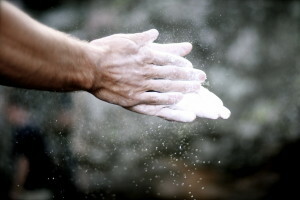 Every time we start a route we chalk up to dry the sweat from our hands for better grip. Then we chalk up again while we’re on the route, maybe multiple times. Then we sit down and forget our chalk bag is open and dump most of the chalk out onto the ground, giving our friends and everyone else at the gym something to chuckle at. 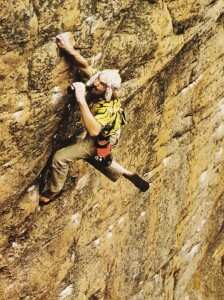 BasicRockClimbing.com recommends chalk as a climbing gift idea or stocking stuffer for Christmas. It won’t be memorable, it won’t be amazing, the climber’s friends won’t be talking about it months from now, but it will be used and appreciated. It comes in smaller bags or larger canisters and you can throw in a brush for cleaning holds and some climbing tape if you are feeling really generous. Using all that chalk and pulling down on rough rocks destroys the skin. 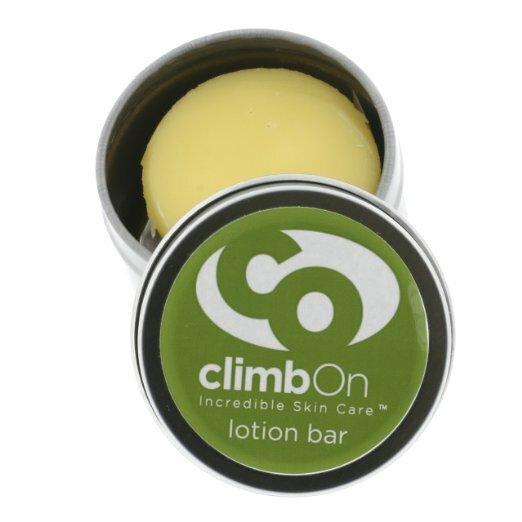 Climbers can avoid downtime by keeping their hands well moisturized with skin repair salve. We like both the Climb On! Lotion Bar (has a light fragrance that is “feminine” to some noses and the Climb On! Intensive Skin Care Bar for Men (smells more “manly”). They are made in the USA, biodegradable, non-toxic, chemical-free and actually help to avoid cracking and dry skin. If you want to avoid fragrances or just prefer a creme try Climb On! Creme. All of treatments get excellent reviews from hundreds of climbers on Amazon so it’s likely your climber will appreciate them too. Have you ever seen a climbers lips after a sunny, windy day in the alpine? It’s not pretty. You can help prevent this with a high quality lip balm. If they’re still using ChapStick it’s not helping and it might be making things worse. The best we’ve found so far is Burt’s Bees Res-Q Lip Balm but Brave Soldier Lip Defender is also well reviewed. If the damage has already been done Aquaphor is great. Take all of the above and put it in a brand new Nalgene and you’ve got an easy gift that shows you care. A list of gift ideas for rock climbers wouldn’t be complete without plugging some advocacy groups, whether local or national. The Access Fund does a ton of great work for climbers including advocating for climbing friendly policy, land acquisition and protection, and stewardship and conservation. Any climber would be happy to be part of this group. A membership to the American Alpine Club would be another great gift for a climber. The club provides a $10,000 rescue benefit to climbers and also supports climbing areas with grants, among other benefits. Climbers won’t hesitate to drop $200 on a shoe that might bump them up a letter grade but we rarely invest in injury prevention. You could give a climber a massage or yoga class to help them stay healthy. Or buy them The Climbing Doctor’s ebook on preventing injury along with the resistance bands required for doing the exercises. We also like the Thera-Band Hand Xtrainer hand and finger exerciser or finger resistance bands for strengthening the antagonists that open the hand. These exercises help to balance the relatively weak muscles that open the hand with the extremely strong muscles that close the hand that are used in climbing. 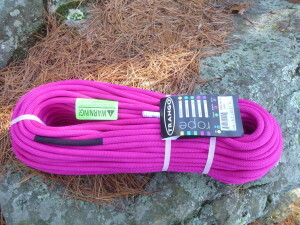 The climbing brand Metolius also sells something similar but it doesn’t last very long. The Thera-Band Hand Xtrainer in use. Finally we recommend the Armaid. It’s strange looking but gets great reviews and is effective at massaging a climber’s tired forearms. It’s expensive but if it can get a climber back in shape for the next workout quickly or prevent injury it will be appreciated. Almost all climbers go to the climbing gym these days. A useful gift would be to pay for a month (or a year!) of their membership. Or consider signing them up for that climbing skills class that they mentioned. Just be sure to do your homework so that the class doesn’t cover something they already know. A gym membership is a good climbing gift. There are lots of good climbing books being published all the time. We really liked The Calling: A Life Rocked by Mountains by Barry Blanchard for a fun read about growing up as a rock climber and a person. 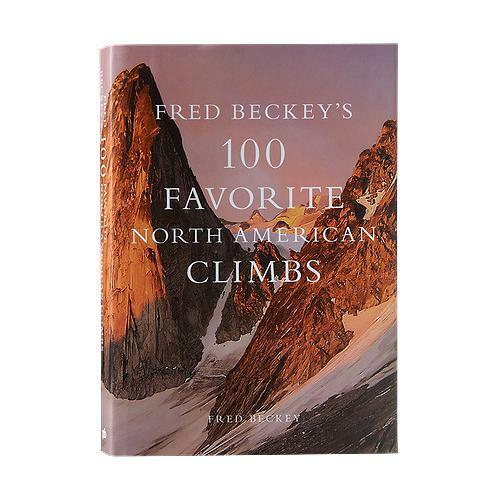 Fred Beckey’s 100 Favorite North American Climbs is a classic though expensive. If your climber is an alpinist (you’ll know because they’ll have mentioned marmots at least once) they may like Training for the New Alpinism: A Manual for the Climber as Athlete even if they dismiss running uphill while dragging a tire by saying “it’s not worth it, I’m just going to go climbing more.” All of the books just mentioned are among those published by Patagonia. If your climber doesn’t have a guidebook to their favorite climbing area that might be another good gift idea. Even though the MountainProject app is really helpful it hasn’t yet replaced a guidebook like the Climber’s Guide to Devil’s Lake or Red River Gorge Climbs South for complicated climbing areas. 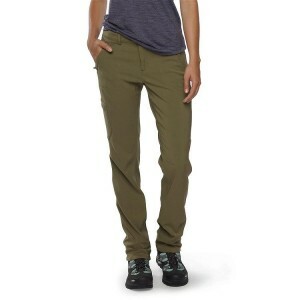 We recommend anything by Patagonia or prAna for pants and shirts you can climb in and also wear to the brewery. Climbers, especially those going further into the backcountry, will appreciate puffy jackets, hiking boots or approach shoes, base layers, gloves, and warm hats. Just be sure to stick with quality brands like The North Face or Marmot and avoid anything made of cotton. 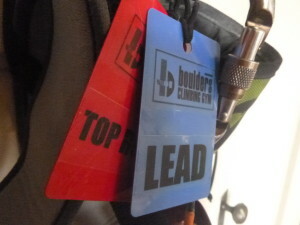 Does your favorite climber climb in a state park or national park that requires an annual pass? Buy them a parks pass! Do they climb at a local gym? An annual membership would make a great rock climbing gift. Do they get hungry while they’re at the crag? Make them some granola bars or cookies. Do they like to drink a beer after climbing? Put a six pack under the Christmas tree. Maybe wait until you’re on the ground? Or maybe they prefer a smoke after a tough day in the mountains? Give them a pack of rolling papers and a baggie of bud (local and federal laws may apply, probably best for Colorado and Washington climbers at this time). So far we’ve avoided recommending giving climbing gear as a gift. This is because climbing gear is very specific and a gift that isn’t quite right may never be used. To make giving a rope or cams or a set of draws even more of a challenge, climbing gear often can’t be returned after it leaves the store, even if it has never been used. While this policy is necessary to keep everyone safe (I don’t want to buy a rope that was bought and returned!) it makes it gift-giving risky. If you really want to give the gift of climbing gear try asking the climber exactly what items they want. Or try to find out what they like from their friends. This will avoid big problems like giving an ice ax to a boulderer and smaller problems like giving a rope that is 10 meters shorter than is necessary at the local wall.